The global market for golf cart batteries is expected to expand at a promising pace in the next few years, with the rising uptake of golf carts as practical transportation modes for elderly in places such as airports, crowded stations, and tourist locations globally expected to act as a key growth factor. The increased usage of golf carts other nonconventional application areas is also expected to work in favor of the market. Technological developments in battery technologies, the reducing costs of vehicle batteries, and an improved battery charging infrastructure across the globe, with the aim of promoting the increased usage of cleaner and environment-friendly electric vehicles are also expected to work in favor of the market. This report presents a 360-degree overview of the golf cart battery market from a global and regional perspective. 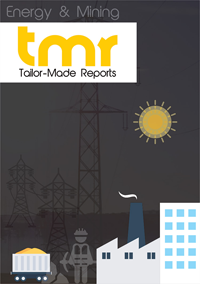 The report examines the market in a ground-up manner and studied all the key elements of the market, with a detailed analysis of the impact of key drivers, restraints, and popular trend on the overall development of the market. The report presents a detailed and professional overview of the current state of cloud computing in web services and offers detailed data for the share of cloud in web services from the year 20 until the current times on a quarterly basis. For providing a more detailed account of the global golf cart battery market, the report segments the market on the basis of criteria such as battery type and geography. Based on the type of battery used in gold carts, the market has been covered for types such as li-ion battery and lead-acid battery. Of these, the segment of lead-acid battery presently accounts for the larger share in the revenue of the global market. Factors such as the provision of maximum usable power and easy maintenance work in favor of this segment. The trend is expected to remain strong over the next few years as well, with the demand for lead-acid batteries for use in golf carts expected to remain high over the report’s forecast period. From the perspective of geography, the market for golf cart batteries has been examined in the report for regions such as North America, Europe, Asia Pacific, and Middle East and Africa. Of these, the market in North America is presently the leading contributor of revenue to the global golf cart batteries market as the region houses some of the leading golf cart manufacturers and has a large number of golf courts. Moreover, owing to the presence of affluent population, new facilities and amenities are frequently introduced with the view of enhancing the experience of the sport. It has been observed that the global golf cart battery market features a large number of international, regional, and local companies manufacturing and supplying all key varieties of golf cart batteries. As the competition become more intense, companies are putting in more efforts to evolve on the fronts of production capacities, innovative products, technological advancements, and distribution channels. Expansion across new and more promising regional markets has also emerged as one of the key strategies adopted by companies looking to acquire a larger share in the overall growth opportunities that the market has to offer. Some of the leading companies in the market are East Penn Manufacturing, Exide Technologies, Crown Battery, RELiON Batteries, Trojan Battery Company, EnerSys, Johnson Controls, Century Yuasa, Axion Power, Samsung SDI, Dyno Battery, Smart Battery, Exide Industries, Harris Battery, Gem Batteries, Navitas Systems, SEC Battery, and Speedways Electric.